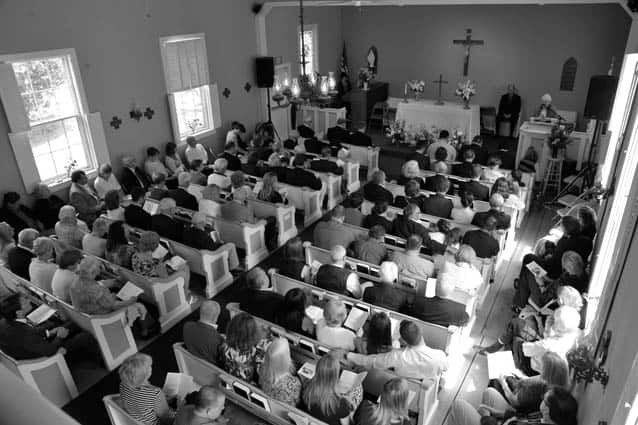 All seats were filled in the celebration of the life of Dee Montgomery, held June 26 at Sherburne UCC in Killington. A celebration of the life of Diane “Dee” Montgomery, a longtime Killington resident and active community member and businesswoman, was held June 26 at the Sherburne United Church of Christ in Killington. Pastor Beverly Anderson gave a warm remembrance, noting Dee’s deep and abiding faith, her caring for family, friends, and employees but most of all for the difference she made by her sincere willingness to be there for others — to listen and to help them with her counsel and support. “Dee was Bob’s wife and his business partner and, as one of her boys put it, Dee was the “Chief Communication Liaison” for both family and business,” Anderson noted of their 45 years of marriage and working together.